This was a really great smaller project – my clients had not long moved into a beautiful farmhouse in a Worcestershire village and were going through the processes of a complete renovation. 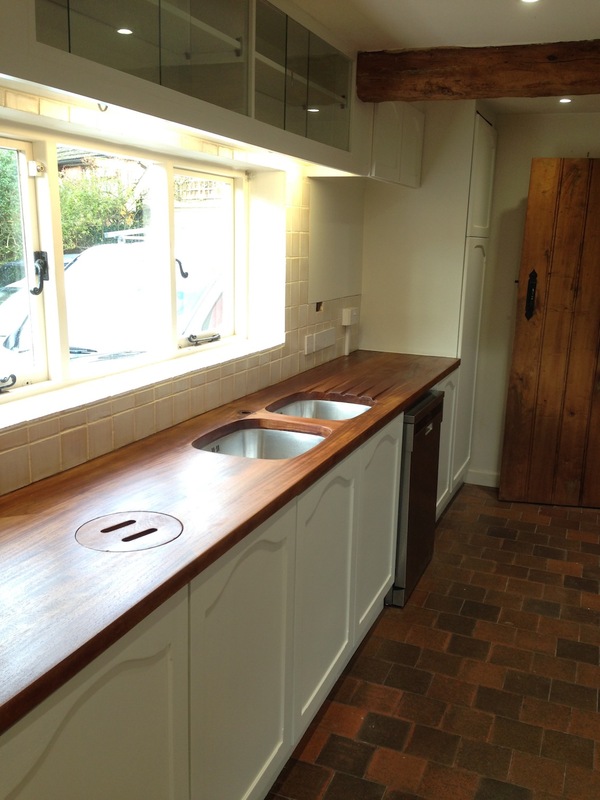 They inherited a rather tired solid oak kitchen from the previous owners… they were happy with the layout and the build, but it looked tired and dated. Initially, I degreased all surfaces that needed to be painted (I use Krud Kutter Original and also Meths) – Kitchens can get extremely greasy, often to the embarrassment of the owner! I then use my Mirka 915 Extractor coupled to either a CEROS or a Festool RO90 for detailed work and corners… after this much attention, the kitchen is gleaming and ready for paint. As oak, no matter what it’s age, is prone to leaching tannins (leaving yellow spots on the finish), I seal with Shellac based primers – I favour Pegaprim Isofix tinted to the final coat colour. I apply with a Orange, High Density Flock Velvet Roller from Roll Roy. Two full coats of this and the oak is sealed for good! Next, after hand sanding with a 320 “grit” Abranet, I applied two coats of water based Tikkurila Feelings Furniture Paint, leaving a beautiful low sheen finish. My client also asked that I treated their Mahogany worktop – after stripping all of the old varnish from the surface, I applied 4 coats of Patina, a “magical” gel that seals the wood and protects from water and heat marks! 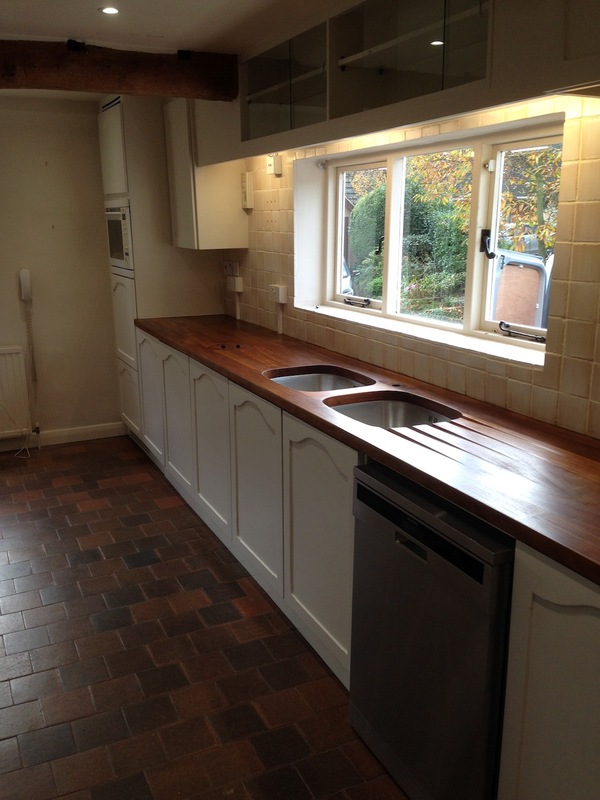 My clients were really pleased with their “new” kitchen which came in at approximately a tenth of the cost of a complete brand new kitchen, which meant that they had more funds to spend on Damp Proof protection, new Central Heating system, rewiring, and, and… the joys of owning a Period Property! (I feel their pain, being a Period Property owner myself! ).